Xiaomi's Mi 6 has been on sale in China for a while now, but we're only talking about the 'normal' model with the glass-clad back. 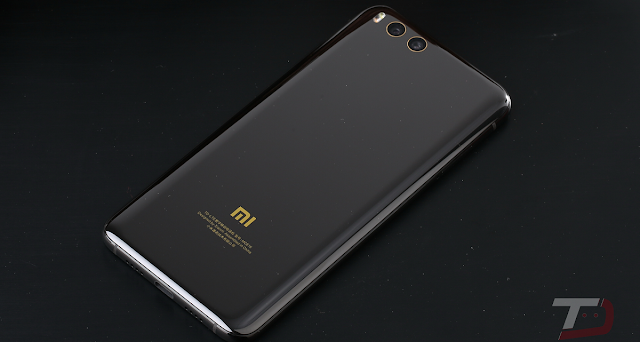 A Ceramic Edition Mi 6 was also announced, however, and if you're interested in that you'll be pleased to find out that it's almost available. It will in fact be released tomorrow through Xiaomi's Chinese online store. In order to get one, you'll need to part with no less than CNY 2,999 (that's approximately $435 or €387 at the current exchange rates). So what do you get for that money? First off, a ceramic back as you'd expect. Second: 18-karat gold rims around the dual rear cameras. Otherwise, it comes with identical internals to the non-ceramic model. The Mi 6 has a 5.15-inch 1080p touchscreen, dual 12 MP cameras on the back, an 8 MP front-facing camera, the Snapdragon 835 chipset, 6GB of RAM, 64 or 128GB of storage, and a 3,350 mAh battery. It runs Android 7.1.1 Nougat underneath Xiaomi's MIUI 8.0. The ceramic version is 14g heavier than the normal one, coming in at 182g.